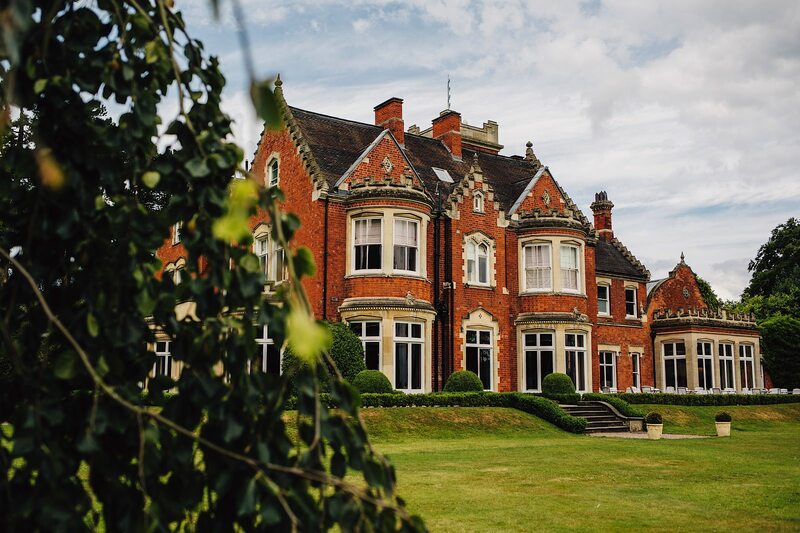 There’s nothing quite like outdoor weddings; imagine saying ‘I Do’ under blue skies in the beautiful gardens of Pendrell Hall. Our vintage-inspired Bandstand is an incredibly romantic option for your wedding ceremony. Its pretty, white, detailing and raised elevation make it the perfect backdrop for your wedding vows and promises. You’re welcome to add a touch of glamour and romance with some carefully placed florals. The Bandstand is licensed for civil ceremonies shared with up to 170 guests. How Do Outdoor Weddings Work? We’ll make a note of that preference and plan for an outdoor wedding. We always have the outdoor furniture onsite, ready to setup in just the right number of rows for your wedding guests and The Bandstand is always in position and ready to go! 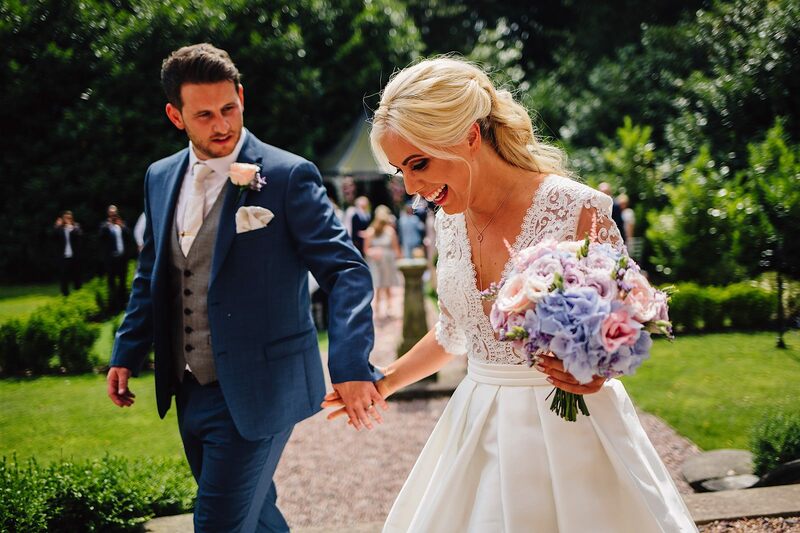 On the morning of your wedding day, as you arrive at 10.30am to make use of the fabulous Love is Enough Dressing Room your Event Manager will pop in and have a chat with you about whether you’re still happy to go for an outdoor wedding. It’ll depend on the weather on the day. When Can I Have An Outdoor Wedding? Outdoor weddings at Pendrell Hall are available from the beginning of May to the end of September. 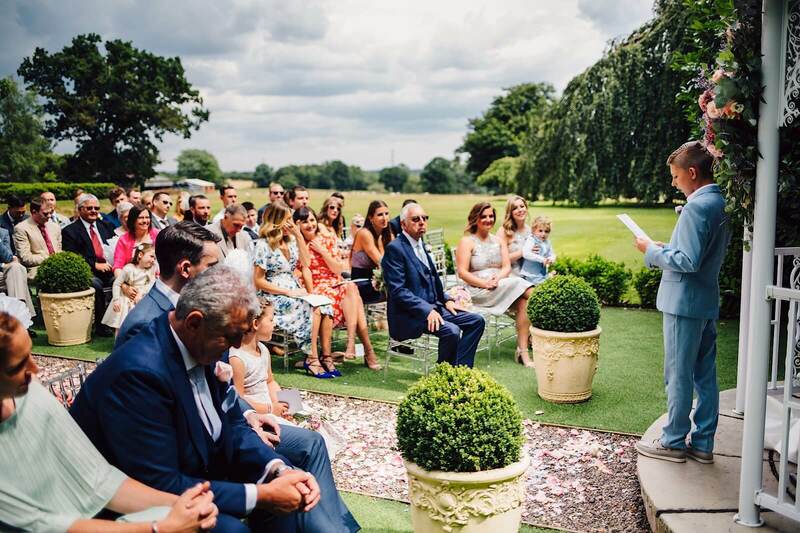 As much as we’d love to hold outdoor weddings all year round, it’s not really practical outside of this seasonal window as you’re unlikely to get the fine, warm weather you need. What’s the Wet Weather Back Up Plan? The weather in this country can be both surprising and unpredictable but don’t worry! 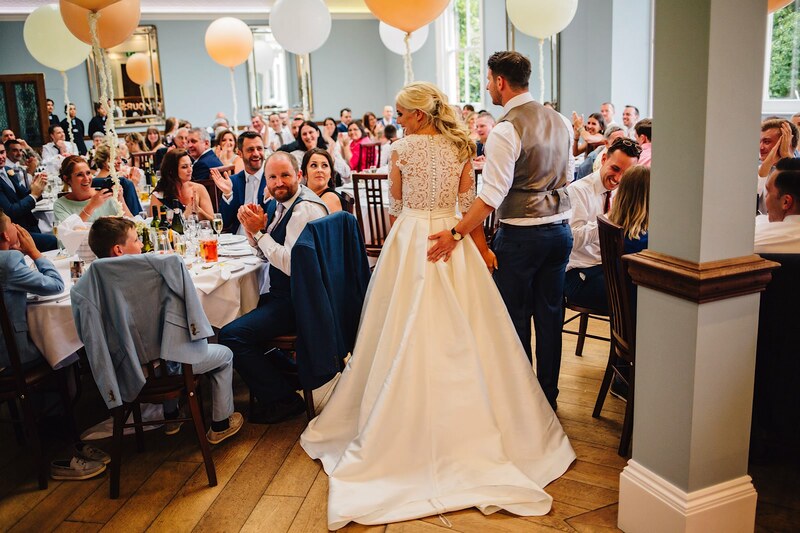 If the weather doesn’t play ball for your outdoor wedding we’ve got a couple of fabulous indoor options for you. The Morning Room is stunning and perfect for more initmate gatherings of up to 110 guests. 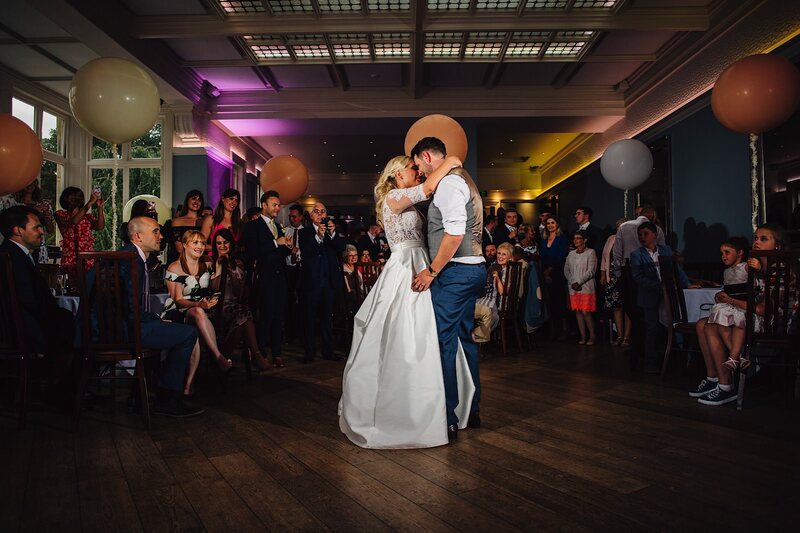 If you’re going all out with your celebrations you’ll love The Ballroom which is an amazing setting for your celebration wedding for up to 170 guests. The bandstand is located on Pendrell Hall’s Formal Lawn and offers a unique setting for outdoor weddings in the Midlands. 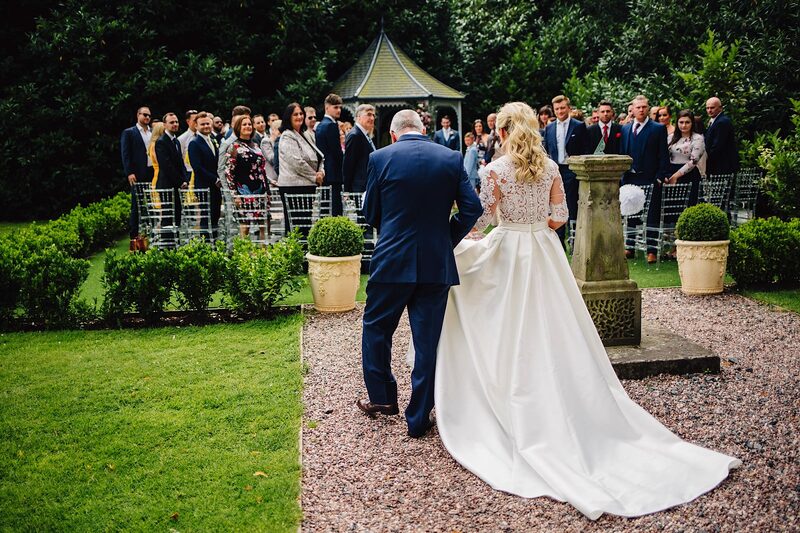 In line with our inclusive approach, there is no additional charge for outdoor weddings held between 1st May and 30th September at Pendrell Hall (it may be possible to hold an outdoor wedding outside of this period subject to weather conditions). Please get in touch if you’d like to discuss the option of an outdoor wedding at Pendrell Hall. We’d love to hear from you. Huge thanks to the very talented Wedding Photographer Roo Stain for capturing Jacqui & Billy’s awesome outdoor wedding at Pendrell Hall. 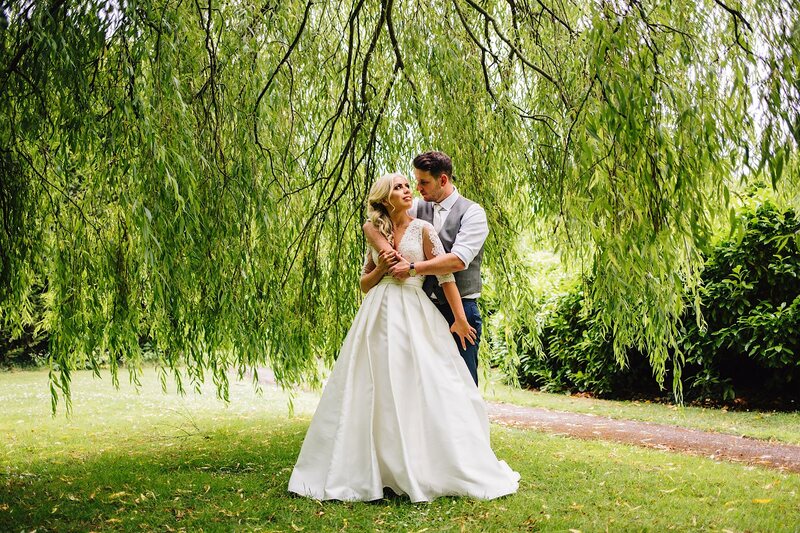 They got married in July and the day was everything they’d hoped for and more. 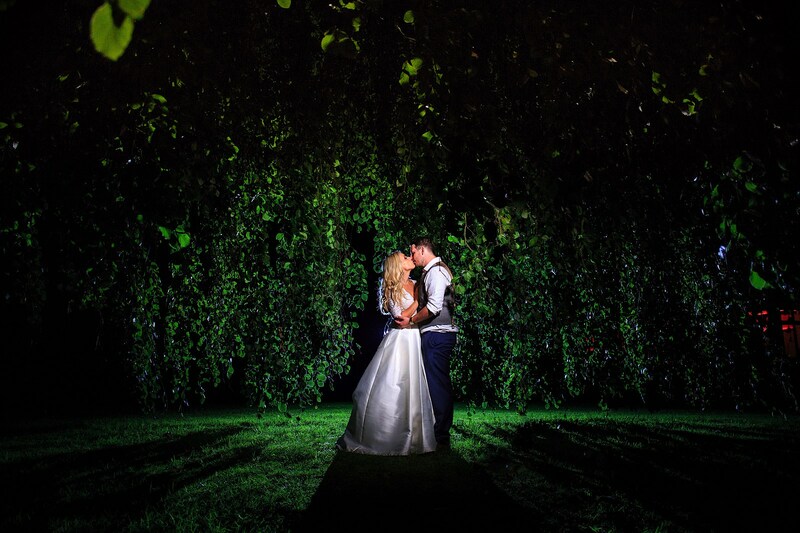 We hope that you enjoy browsing through the wonderful images captured on their big day.